Looking for a House, Condo or Townhouse for sale in the Dundarave area of West Vancouver? Located in West Vancouver next to Ambleside Village, Dundarave is a popular seaside community with a Village commercial area. Dundarave Village is well known for its boutique shops, pubs and restaurants centered by a beautifully landscaped village boulevard from 24th to 25th Street. Dundarave Pier (at 25th Street on the water) used to be the Vancouver to West Vancouver ferry dock prior to the opening of the Lion's Gate Bridge in 1936. There is a pier and the seawall, which have stunning waterfront views east to Vancouver and west to Vancouver Island. The streets in the Dundarave neighbourhoods are aligned along a grid and are named in alphabetical order from the waterfront and the streets are numbered from the Capilano River. 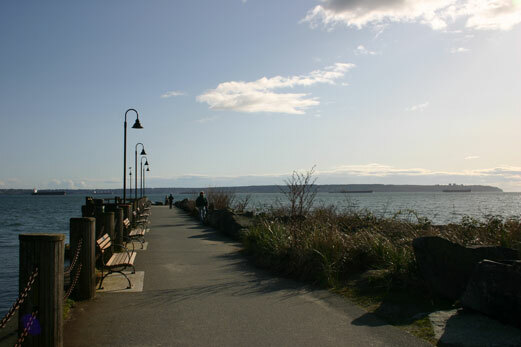 The seawall promenade takes pedestrians from the Capilano River, past Park Royal Shopping Centre, to Ambleside Park and eventually to the pier at Dundarave Village. The waterfront setting of Ambleside has unparalleled views of Vancouver's harbour, Kitsilano, Point Grey, the Lion's Gate Bridge, and Stanley Park. Dundarave a few high-rise apartments along the waterfront, some low-rise apartments and condos, and the rest single family homes. Dundarave has recently become an area of luxury homes many of which boast incredible views. 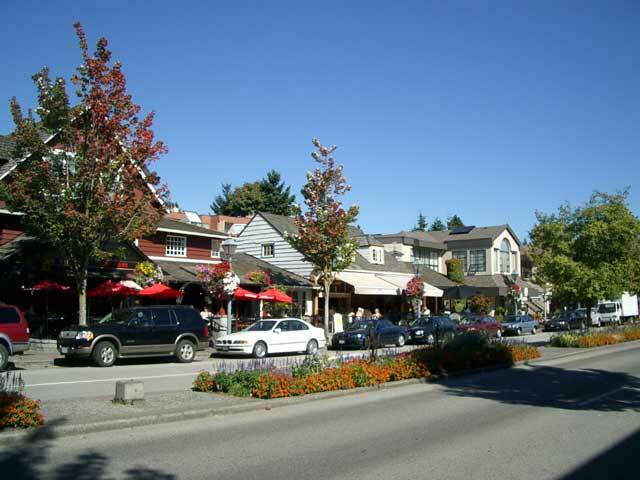 Dundarave is very desireable because it is central to everything West Vancouver has to offer. The commercial strip through dundarave has a quaint neighbourhood village feel. Please contact us to search for real estate in Dundarave. Dundarave is a very pedestrian-friendly area. The seawall promenade runs from the Capilano River alongside the railway tracks past Ambleside Park, John Lawson Park (with the 17th Street pier) to the 25th Street pier at Dundarave. Ambleside Park has great shoreline pathway with views of Stanley Park, a pitch & putt golf course, a beach, an outdoor pool, several baseball diamonds, a skateboard park, sports and soccer fields, and tennis courts. There is a sailing club just west of 13th Street beside the park. There is also a community center with an ice arena and pool at 21st Street. Many small parks dot the neighbourhood streets. Skiing and mountain biking are just a short drive up the hill at Cypress Mountain. Colourful planters and iron cast lamps decorated with hanging flower baskets mark the retail stretches of Marine Drive in both Ambleside and Dundarave. Dundarave Village stretches along Marine Drive from 24th Street to 25th Street. Park Royal Shopping Centre is the area's major shopping spot. The Beach House Restaurant is a local favourite with fantastic dining on a spectacular waterfront setting! There is a public library in Ambleside. The West Vancouver community center, with a pool and ice rink, is at 21st and Marine Drive. Dundarave hosts the Christmas Tree Festival of Lights during the Christmas holiday season. Nearby Ambleside Park hosts many annual festivals including Community Day, the Arts Country Fair, and other seasonal events. This neighbourhood is served by Irwin Park Elementary, Pauline Johnson Elementary (with a French Immersion program) and West Vancouver Secondary School. There are also two private schools in West Vancouver: Collingwood and Mulgrave. Dundarave is very close to the Lions Gate Bridge and so travel into downtown Vancouver takes just minutes! Regular public transit services all regions of Dundarave.